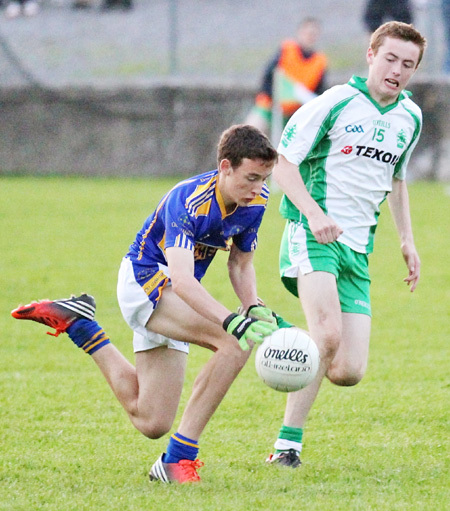 A powerful second half performance by Kilcar saw the visitors ease into the next round of the minor championship. 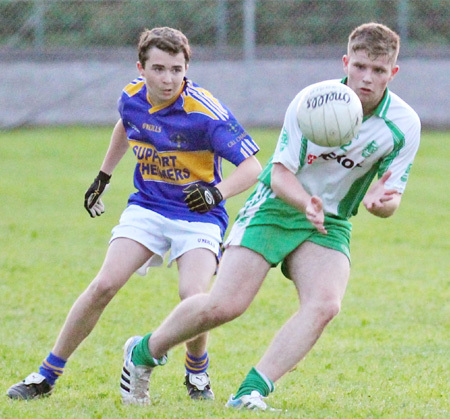 It was a great evening for football and the Towney men weren't long adjusting to the firm sod, Conor Doherty arrowing over the bar after just 26 seconds. 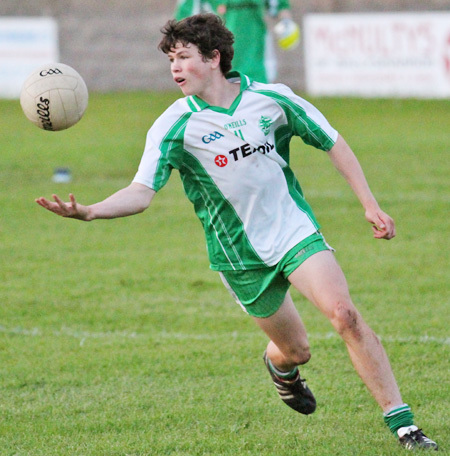 Aodh Ruadh lost the first leg and badly needed to stem any Kilcar bid to run up a string of early scores. They got the perfect fillip just a minute later when James Kelly got his fist to a ball bombed in on top of the Kilcar square. Kelly's effort came back off the crossbar, but Jamie McDonald was alert and drove the ball to the back of the net. McDonald added another point from close range moments later before the influential Ryan McHugh fashioned a response for Kilcar, a straight-forward placed ball opportunity. David McGurrin was causing trouble early on and he was fouled on eight minutes as he went through with a goal opportunity on. He pointed the routine free. What followed was something of a minor catastrophe for Aodh Ruadh. With a strong following breeze it was vital the Ernesiders build a good first half lead. 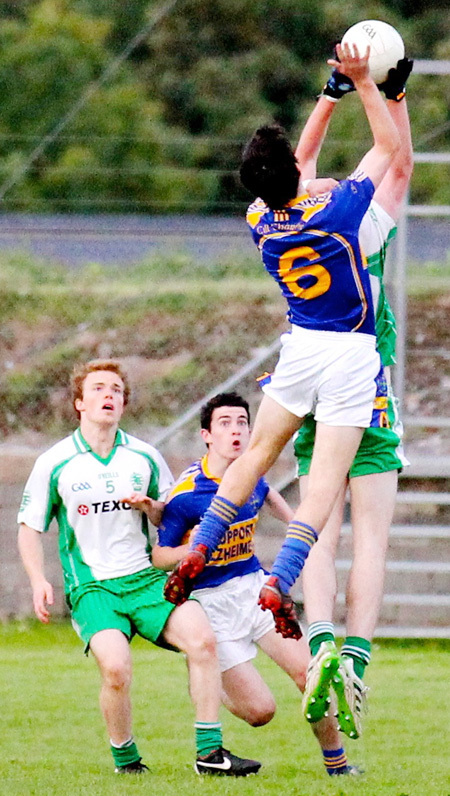 That possibility received a severe set-back when Aodh Ruadh failed to clear a ball dropped into the area, despite several opportunities. Michael Cunningham drew on the ball and it was in the back of the net and the sides level at 1-2 apiece. 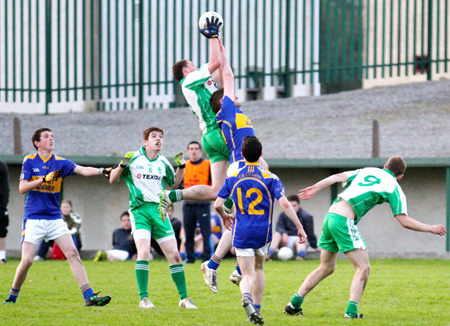 Aodh Ruadh dominated the second quarter, but engineering scores was a painfully protracted process. David McGurrin fisted a point on 18 minutes. A minute later McGurrin was in action again, picking out Jamie McDonald who launched over a monster of a point. With three minutes left in the half McGurrin hit a fine distance free to make it 1-6 to 1-2 in favour of the homesters. However Matty McClean, anonymous for much of the first half decided to make his presence know with an excellent free into the teeth of the breeze to put the single score between the sides. McClean began the second half like a man trying to make up for lost time. Two minutes into the second he knocked over another placed ball, followed by his first point from play a minute later. A minute later again McClean fisted over to put the sides level. Two minutes later McClean used the breeze to float over a long range free to take Kilcar into the lead for the first time since the first minute. Owen McHugh screwed over an awkward looking point off his right boot, and Odhran Doherty promptly pointed from the kick out to put Kilcar a goal in front. 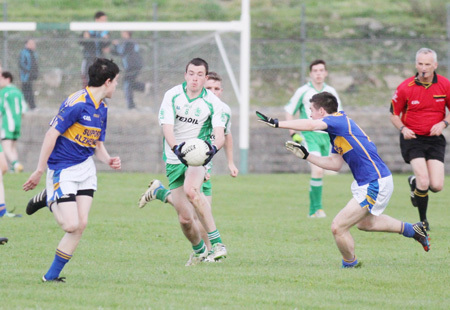 Aodh Ruadh were clearly reeling from the unanswered series of Kilcar points. 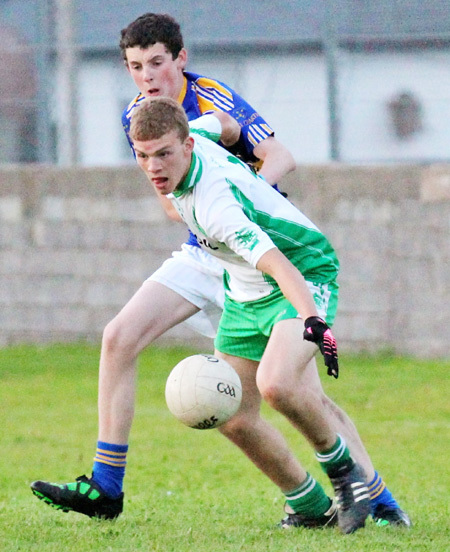 A David McGurrin free narrowed the deficit to two points, but it was to prove a blip in Kilcar's onward progress. McClean answered McGurrin another free, but the writing was on the wall when Kilcar full back Cormac Cannon sauntered up the field to hit a fine point and take the scores to 1-7 to 1-11. Aodh Ruadh needed a score fast, but it was Kilcar who were dictating the tempo now, winning every ball in midfield and putting enormous pressure on the Aodh Ruadh defence. Matty McClean hit a free, before the killer blow was delivered a minute into added time. 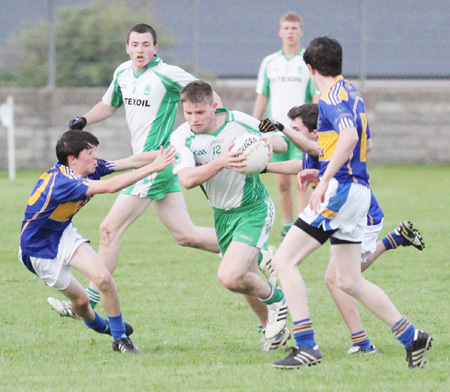 Half forward Andrew McClean got the ball out some distance from goal and raced in through the vacant wide open expanses of the Aodh Ruadh rearguard before rifling low and hard past Daniel Kelly. 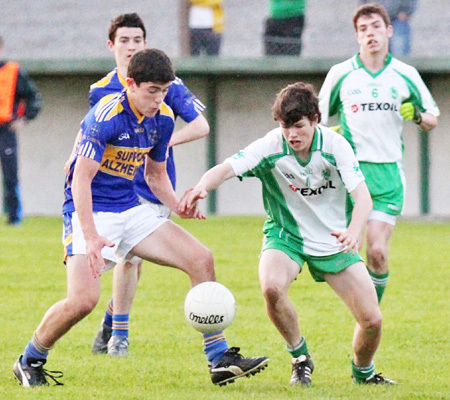 It was a cruel blow for Kelly who was one Aodh Ruadh's best performers throughout. 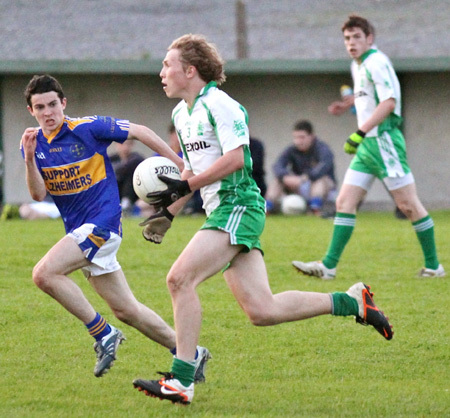 There was five minutes of added time played and after the Kilcar goal Aodh Ruadh finally seemed to find some rhythm. First Colm Kelly ripped through Kilcar cover to send in a rasping shot only to see it flash over the bar. 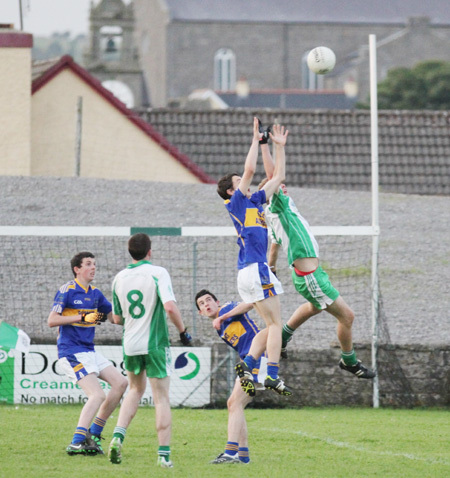 It was James Barron who got the last score of the game as the light faded on the evening and Aodh Ruadh's challenge. 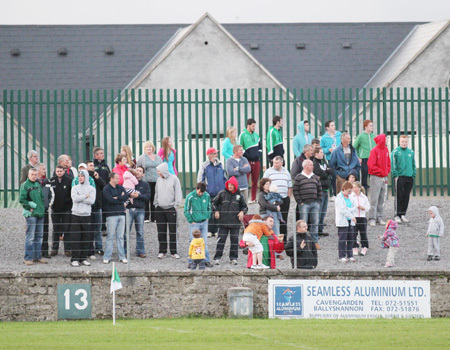 It was a disappointing performance from Ballyshannon, with the team seeming strangely out of sorts. Kilcar will be bouyant about the prospects of going a long way yet in this championship, particularly with Ryan McHugh pulling the strings from half back and Matty McClean's accuracy. Daniel Kelly; Niall Harley, Ryan Patton, Patrick Gillespie; Pauric Patton, Kieran Keown, Darren Gethins; Eamon McGrath, Alan Finan; Johnny Gethins, Colm Kelly, Ryan Granaghan; James Kelly, Jamie McDonald (1-2), David McGurrin (0-5, 4f). Yellow cards: Jamie McDonald 22 minutes; Pauric Patton 32 & 51 minutes; Johnny Gethins: 43 minutes; David McGurrin: 49 minutes; Darren Gethins: 56 minutes. Substitutes: Jason Campbell, James Carr, Peadar Conroy. Yellow cards: Jordan Mooney: 6 minutes; Andrew McClean: 7 minutes; Ryan McHugh: 9 minutes; Stephen McBrearty: 40 & 50 minutes.